How often do you go into your attic, especially during the summer, and immediately think, “It’s hotter than Hades in here?” If you’re like most people, it’s pretty much every time. That ’s because your attic has little to no ventilation. 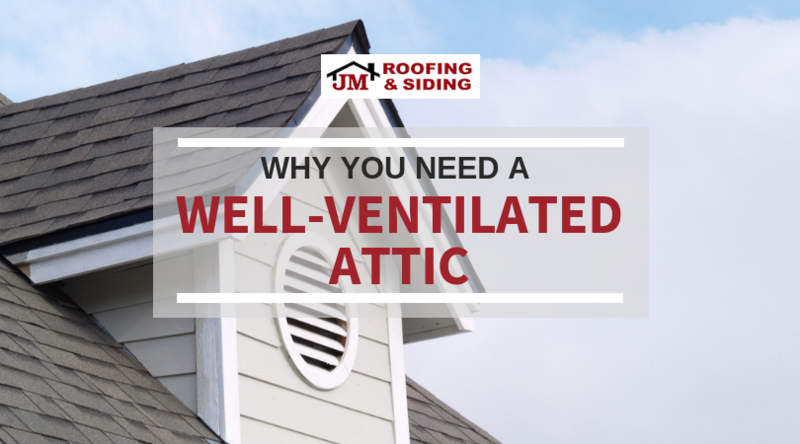 One of the biggest issues poor attic ventilation can cause is extreme heat and moisture build up. Besides causing you to feel all but suffocated when you try to go into your attic, all that heat and moisture can affect specific areas of your attic, such as trusses and rafters, and cause them to become warped. If that happens, your roof can become damaged to the point that it collapses. Not good! Your attic insulation is responsible for keeping your home toasty in the winter and cool in the summer — but a lack of proper ventilation can ruin your insulation. If all that heat and moisture has no way to exit your attic, it can get absorbed into your insulation and ruin its integrity. If there is any moisture buildup anywhere in your home, you’re at risk for mold growth. While common spots for mold include your basement and bathroom, your attic is also particularly susceptible to mold. What’s worse is that, since you’re not in your attic all that much, you probably wouldn’t notice the mold until it was too late and you needed major repairs. If you are in the market to update your roof, contact JM Roofing & Siding. We will help you with a wide variety of residential roofing services, including new roof installation, roof replacement, roof repair, and general roofing services. Contact JM Roofing & Siding today for a FREE roof installation estimate! When you think of all the things to keep clean and tidy in your home, we’re betting your roof isn’t at the top of the list. Nevertheless, you should take a day once in a while and get all the dirt, moss, and stray frisbees off your roof to protect its integrity. Don’t just climb onto your ladder wearing any old outfit. You should always wear shoes with non-skid bottoms and gloves with gripping palms so you don’t slip while on your ladder. You should also wear a long-sleeved shirt to protect your skin and safety goggles from any debris you find on your roof. You shouldn’t try to balance on your ladder and hold all of your roof cleaning supplies. Attach a ledge or hook so you can place or hang a bucket with your cleaning supplies for easy and safe access. If you end up standing on your roof, watch where you step. If your roof is slimy from moss or has missing or loose shingles, you could easily slip or lose your footing and go tumbling. 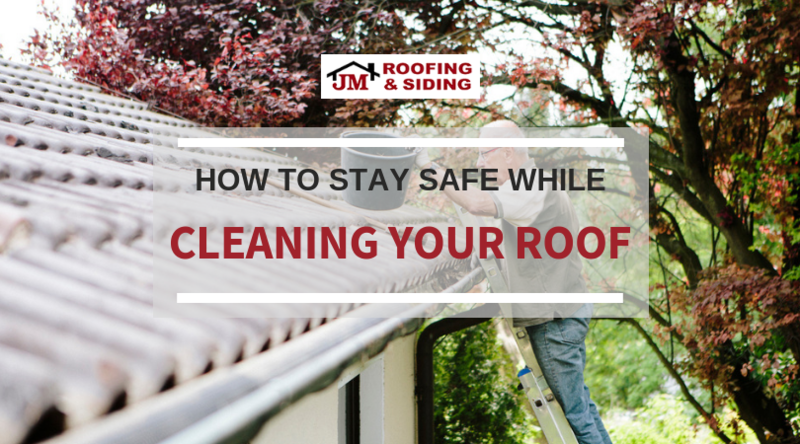 It’s very important to step only on dry areas of your roof so you stay safe. As your local roofing company, we provide the services you need to keep a highly functioning roof over your head. Call us today and we can take care of your home’s roofing needs. This time of year, you can rarely drive down the street without seeing houses adorned in fake spider webs, carved pumpkins, and giant inflatable monsters. 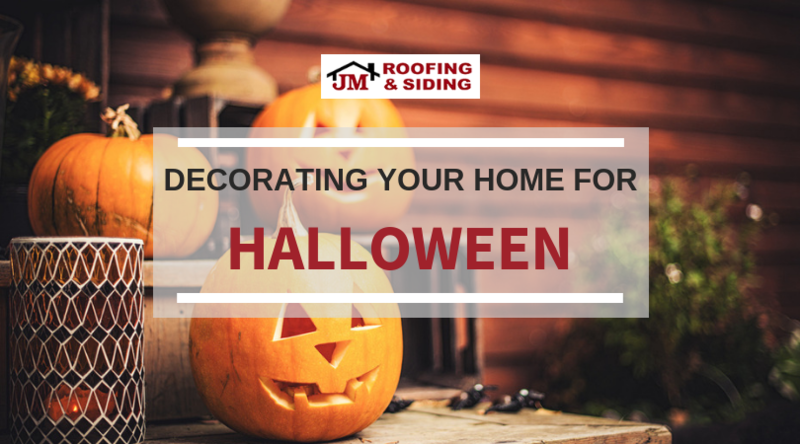 If you want to make your house the most festive on the block, make sure you take advantage of these ideas for decorating your home for Halloween. Buy a few sets of skeleton hands or make some out of clay and molds and attach them to the tree trucks around your home. This way, it will look as if something scary is hiding behind the tree ready to come out and grab you! Pick up some foam or styrofoam boards from your local craft store, paint them gray, and spray a weatherproof sealant over them to create tombstones. Insert wood rods through them and stick them in the ground to create a spooky graveyard on your lawn. Get a few costume witch hats and some battery-pack-operated lights. Attach the lights to the inside of the hats and use fishing line or clear wire to hang the hats from tree limbs. Vertically attach green, black, purple, and white streamers to the top of your front door to create hair, and tape a streamer horizontally lower down on the door to create a mouth. Color paper plates to make scary eyes and two more pieces of streamers to make angry eyebrows. Ta-da, your front door is a monster waiting to welcome trick-or-treaters. To keep your home’s exterior beautiful year-round, call the experts at JM Roofing & Siding today! The siding our experts install will protect your home, save energy, improve the appearance and enhance the value of your property. Contact JM Roofing & Siding today! After years and years of coming home to your house every day, you can start to get tired of seeing the same colored siding. When that’s the case, we are often asked what can be done. Well, you typically have two options: you can replace your siding entirely or go the alternate route and paint your siding. With the right preparation and color choice, you can be well on your way to a brand new look for your home. 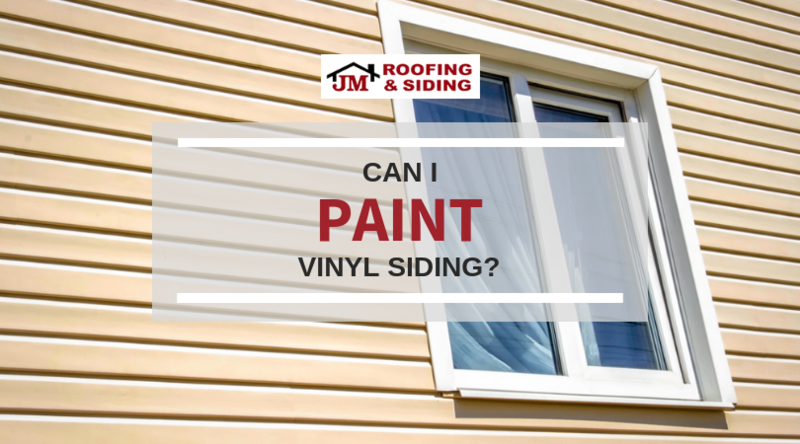 Before you paint your vinyl siding, you need to make sure that it’s completely free of dirt, mildew, or other grime. This ensures the paint will stick to your siding. You can clean your siding by either by hand, using a sponge and a mix of one part bleach to 10 parts water, or your can carefully power wash it. If it’s your first time power-washing, don’t stress! 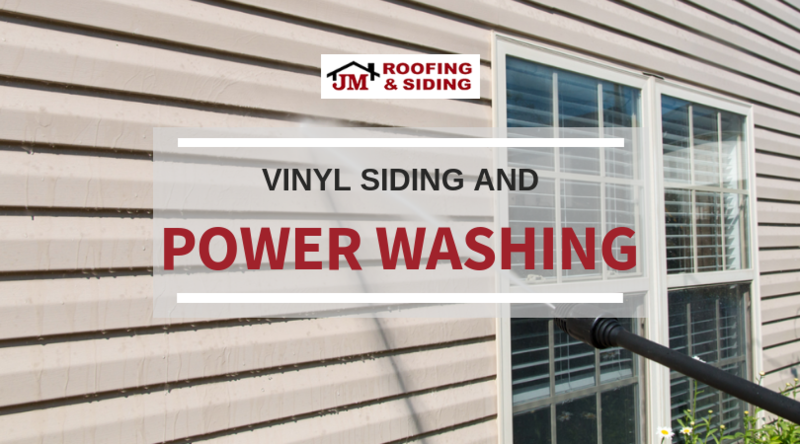 We have some great tips for power washing your siding. This really only needs to be done if you have porous or pitted siding that could absorb the paint rather allow it to sit atop the vinyl. Otherwise, you shouldn’t have to prime your siding. You can’t just use any paint here. In order to ensure the paint sticks to your siding well and last longs, you need to choose good-quality paint that is meant for exterior use on vinyl. You should also take weather into account when choosing the color of your paint. Heat from sunlight can cause paint to warp if the color is more heat-absorbing. It’s best to speak to a side or paint expert to have them help you decide on the best color for function and style. When it comes to changing up your siding, don’t hesitate to contact JM Roofing & Siding today! The siding our experts install will protect your home, save energy, improve the appearance and enhance the value of your property. Can I Power Wash My Siding? Different kinds of siding need different kinds of maintenance. When you have vinyl siding, you should keep it in good condition by washing the dirt off of it every so often — but what do you use to wash it? In an effort to save a little time and effort, some homeowners try to power wash their siding. However, if that’s the route you plan on taking, you need to make sure you’re doing it the right way in order to keep your siding safe. Protect yourself from any dirt or water that can come flying back at you while you’re power washing. Be sure to put on a long sleeved shirt, a face mask, gloves, and safety goggles before powering on the power washing. Water and electricity don’t mix, so make sure to cover any outdoor outlets, lights, or other electrical items before power washing. If there are smaller spots of mold or mildew clinging to your siding, it’s best to clean it off by hand using a sponge and a mix of warm water and bleach — 10 parts water and one part bleach. This way, your power washer will have an easier time cleaning your siding. In order to prevent the power washer from damaging your siding, start out by using a low pressure setting. If you find that the dirt and grime is not being removed by that spray setting, you can gradually increase the intensity. Start at the bottom on your home, and spray the cleaning solution in a side-to-side motion to avoid leaving spray marks. You should also work in small sections so you can more effectively clean your siding. Once you’re done spraying, let the cleaning solution sit on your siding for a few minutes. Whereas you started at the bottom to spray the cleaning solution onto your home, to rinse your home, start at the top and work your way down. This way, all the dirty water is going to flow down to a spot you’re going to wash away anyway. Don’t hesitate to contact JM Roofing & Siding today! The siding our experts install will help protect your home, save you energy, improve your home’s appearance, and enhance the value of your property. When you picture wood siding on a home, what comes to mind? For some people, it’s the rounded timbers of a log cabin, while others (surprisingly) think of plain plywood boards. We’re happy to say that wood siding doesn’t involve either of those things — although those log cabins are pretty cool. In reality, wood siding offers a lot of benefits for your home. If you want your home to stand out from the neighborhood crowd, wood siding has plenty of styles to help. Clapboards: These are long horizontal pieces that slightly overlap each other. The more popular woods used for this style are redwood and cedar. Rectangular Planking: This style is typically used for more modern homes and is similar to clapboards, except that the boards here don’t overlap. Shingles: Wood shingles are cut uniformly by machines and are applied to your home from the ground up so they overlap with each other. Shakes: Similar to shingles, shakes are small and overlap on your home. The main difference is that the pieces used for shakes are hand-split so they vary in size. Vertical Planks: This style features non-overlapping wood and is mostly popular with gothic revival-style homes. Remember those log cabins we mentioned? There’s a reason you see them a lot in cold areas. Wood is a natural insulator so it can help keep heat inside your home during the winter, helping lower your utility bills in the process. It’s the one major catch to wood siding — wood needs a bit of maintenance. Every few years, you should repaint and reseal the wood in order to keep it in good condition. 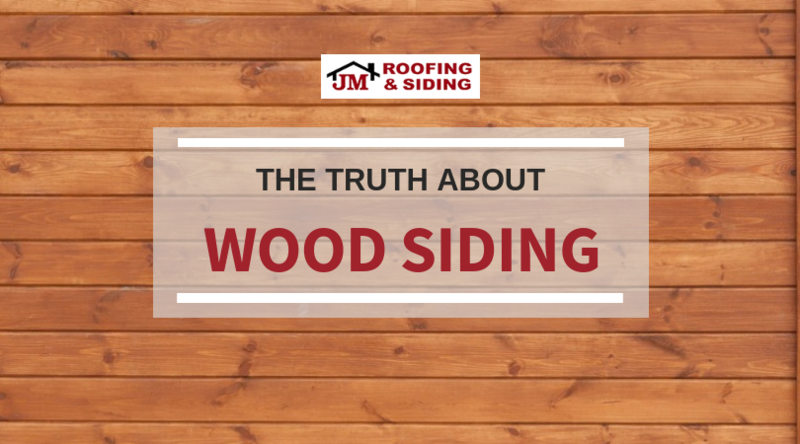 The upside to that is, if it’s maintained properly, wood siding can last a lifetime! To find out if wood siding is a good choice for you and your home, contact JM Roofing & Siding today for a FREE siding estimate! When it comes to roofing, there’s a lot more going on then just shingles and tiles. 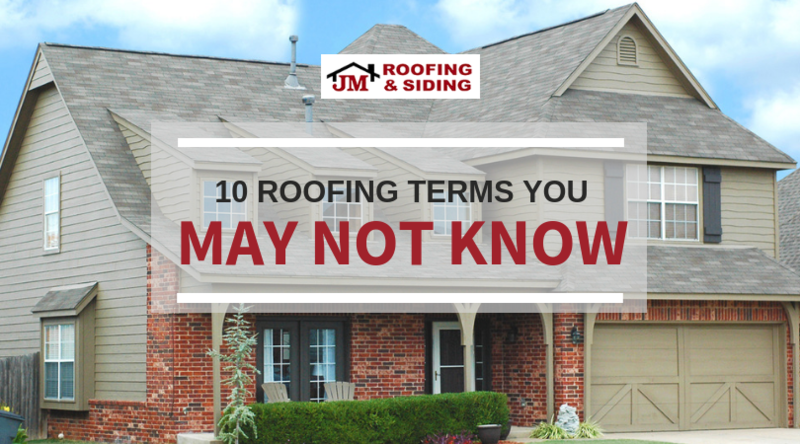 Many homeowners aren’t familiar with a lot of roofing terms, but we can help you with that. Being in the know can go a long way when it comes to your home. These terms refer to the angles and shapes on your roof. A pitch is the angle or slope of your roof. A hip is an outward facing angle, a ridge is the peaks, and the valleys are inward angles. Flashings are the metal pieces you can see around chimneys or vents. It prevents water from getting into the seams. Ridge vents are metal or shingles that cover the peaks to release hot air to help with attic ventilation. These are the materials that are on the outside of the roof. Shingles, tiles, slate, metal, and many more options are available for surface materials. We offer a variety of options. This is the waterproof materials between your surface material and sheathing. Its usually treated felt. Sheathing is the boards that sit on the roof trusses or the rafters. Usually, it is made up of plywood. This term is used to show your roofs ability to retard fires. There is a class A, B, C, and unrated. When it comes to repairing or replacing a roof we understand it can be difficult. Terms for your roof shouldn’t make it even harder. 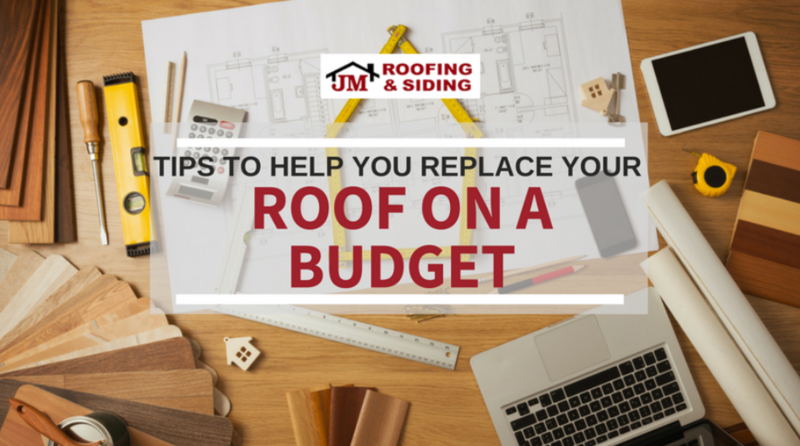 How Do You Replace Your Roof on a Tight Budget? It is our experience that not every DIY homeowner is the same — not everyone has immediate access to specific information, particularly when it comes to roof repair. What comes naturally to a few DIY homeowners might not come naturally to others. That is why we feel it is only right to present a few, simple roof repair tips to help those who need some help. 1) Do you see any water stains across your ceiling or down your walls? That is the result of a roof leak somewhere. There is a link that can help you fix the problem with little to no fuss. Click http://bit.ly/2CFwT1x — it takes you step-by-step with pictures and everything! 2) You can do replace your shingles. Do you see some damage or missing pieces? That means the problem is localized to one area. The idea is to find the area and fix it. Patchwork is a common thread with roof repair, but make sure your new patches match the ones you already have. The last thing you want is for your roof to look uneven. 3) You can do a partial re-roofing. In our experience, that job is better left to a DIY homeowner who has experience and knowledge with the work. Those who are new to DIY homeowner repairs should not attempt this. 4) You might need to replace the whole roof. That is a job better left to our staff. 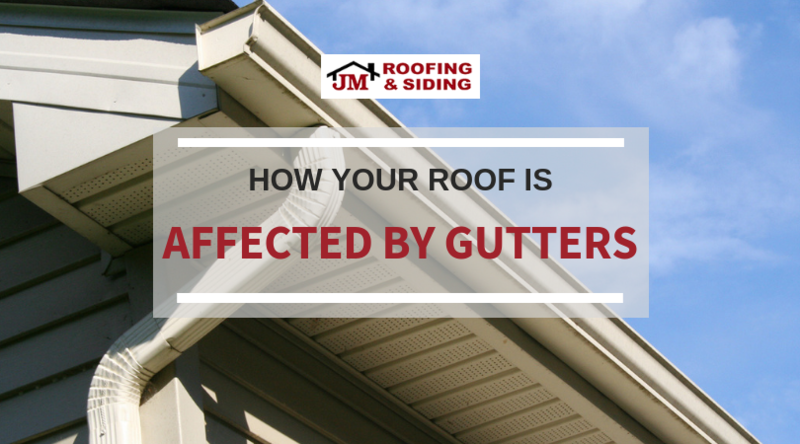 If you’re not well-versed in roof repairs, you could actually end up doing more harm than good. 1) Wear gloves to protect your hands. 2) Keep a putty knife handy and discard any loose shingles that you find. 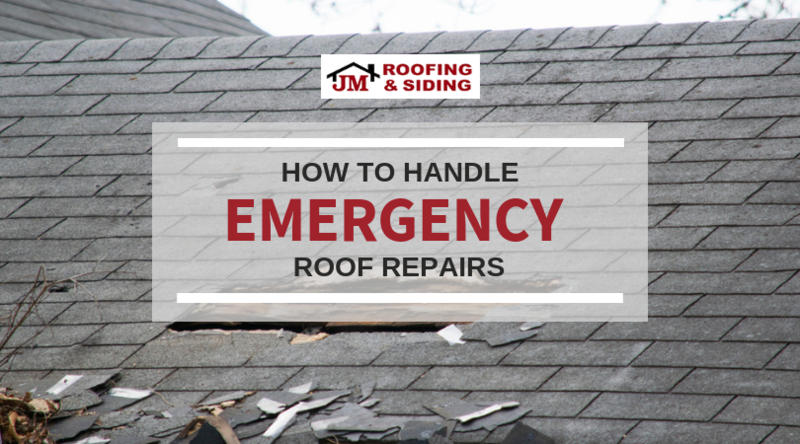 If your roof requires a bit more work than you can provide, trust the experts at JM Roofing and Siding to help you affordably make the repairs or replacement you need.